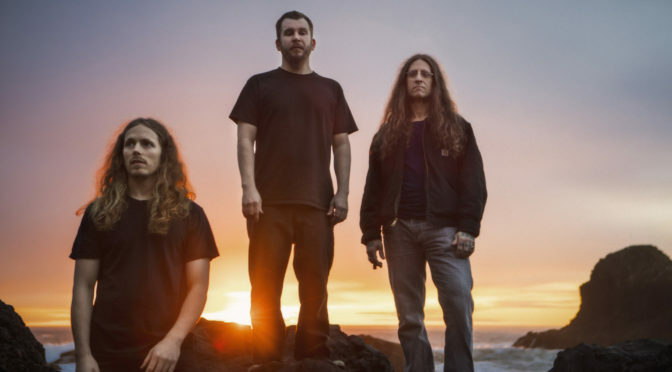 Oregon – YOB, who kick off a new round of North American tour dates on Tuesday, share a recently taped Amoeba Green Room session. The session was filmed during the band’s previous national tour and features the songs “The Lie That is Sin,” “Breathing from the Shallows,” and “Our Raw Heart,” the title track from the band’s critically-acclaimed 2018 album. View the session HERE. Born in Berkeley, CA in 1990, Amoeba Music Hollywood is the world’s largest independent record store. Nestled deep inside Amoeba Hollywood is its Green Room, home for each of its visiting artists and an intimate performance space. Amoeba’s Green Room Sessions have featured stripped down, acoustic performances by Julien Baker, First Aid Kit, and Father John Misty, as well as full-throttle, powerhouse electric sets from Youth Code, U.S. Girls, and The Heavy. Our Raw Heart surfaced on a wide range of best of 2018 lists, nabbing the #1 spot in Decibel Magazine’s extensive year-end issue, as well as receiving nods from NPR, Rolling Stone, ArtForum, Mashable, New York Magazine’s Vulture, Noisey, Treble and more. “YOB‘s eighth album, Our Raw Heart, is a riveting document of Scheidt‘s year,” said Rolling Stone in an online feature. “A gauntlet of sickness and health, clarity and confusion, the record wrestles with mortality and ultimately perseveres.” Decibel Magazine, in their July cover story said “one of the byproducts” of Scheidt’s illness “is a brilliant new album that takes the YOB blueprint of punishingly heavy, delightfully angular doom/sludge into unexplored areas of heart-breaking melody and triumphant resolve.” The album has won accolades from the Associated Press (“Yob… swing effortlessly between menacing distortion and hushed reverie”), NPR (“…the group’s sprawling gravity and thunderous majesty have taken an introspective turn…”), Pitchfork (“…metal that sounds sensuous, bellicose, and jubilant all at once”). Tickets, as well as exclusive ticket and merch bundles, are on-sale now. The bundles, which can be found via YOB‘s website, include an entry ticket, an exclusive t-shirt as well as the option of vinyl or CD versions of Our Raw Heart.